Bicycle accidents, like motorcycle accidents, tend to be more serious than a car accident because the cyclist is completely exposed to the force of the crash. While it’s easy to assume that an accident couldn’t be prevented, the reality is far harsher. Many bicycle accidents are caused by negligence on the part of the automobile driver. 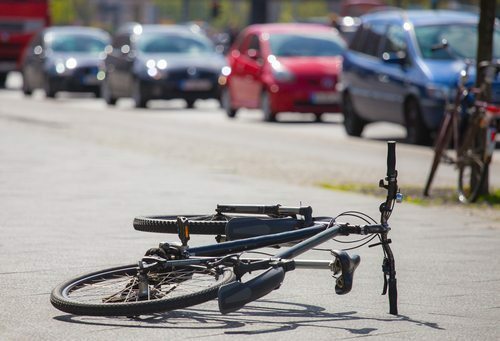 Here’s what you need to know about negligence and bicycle accidents. Is the Driver At Fault? Drivers of automobiles owe a duty of care to others on the road, including other drivers, pedestrians, and cyclists. In the event of a bicycle accident, it must be proven that the driver of the automobile acted in a way that violated the duty of care. In cases where a law was clearly broken, such as failing to stop at a stop sign or speeding, negligence is generally assumed because the individual driving the vehicle failed to obey the laws of the road. Is the Bicyclist at Fault? In some cases, a bicyclist will be found at fault or partially at fault for an accident, even if the bicyclist was severely injured or killed as a result of the crash. For example, a bicyclist may be found negligent if he or she also did not obey the laws of the road and failed to stop at a stop sign, or traveled down a one-way road going the opposite way. In cases where a bicyclist is found to be wholly or partially at fault for the accident, they may be unable to recover damages. If you or a loved one have been hurt in a bicycle crash, it’s important to get legal help as soon as possible. Contact Appalachian Injury Law today for a consultation to discuss the facts of your case in detail and to learn more about bringing forward a claim for compensation. Call us now at (706) 515-1995. We are available to assist you.